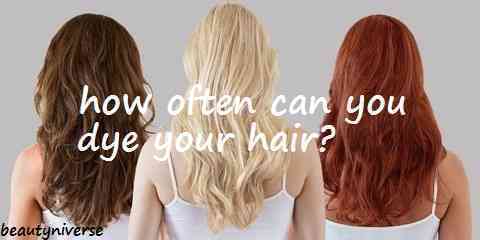 Home » Hair Care » How Often Can You Dye Your Hair? How often can you dye your hair without ruining it for good? How long should you wait before re-coloring your hair? Coloring hair can give you new look and stay out of boring world. Many women like to change the color of their hair since it can boost their confident in everyday life and also give them their own colorful world. But there may be times right after you have just colored your hair; you are not satisfied with the result. You are contemplating on changing the color again. But dyeing your hair too often will do no good to your hair health. By coloring your hair too often, you will, without a doubt, have a dry, fried, and split ends hair. So, how long should you wait before re-coloring your hair? before deciding on coloring your hair again soon, you should consider some factors to have the best result. You should know the condition of your hair first before deciding on coloring the hair again soon since letting your hair gets in contact with the chemical in hair dye can damaged the hair. Is it healthy and okay to be colored again? You can consult to your most trusted hair stylish first. If they give you the green light, it may be okay to change the color. The growth rate of your hair is also an important factor by looking at how quickly your hair grows up. But if you have some sign that you can see and feel, such as dry hair, split ends hair, or completely damaged, you should not rush in coloring your hair; it is better to wait for a few months. The types of hair dye that you have chosen previously or planning on using can also be the factors that influence on the time taken to change the hair color. When you plan on choosing a permanent hair colors, it is advised to wait for about two months before coloring it again. This type of hair dye is the most damaging compare to the other types since the dye need to be applied directly to the cuticle and the bleach will come in contact with the hair pigment. 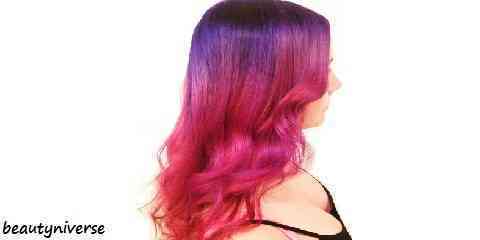 Other hair dye type is semi permanent hair dye. This type of hair dye is by far the least damaging to your hair since it only needs to be applied on the hair shafts. If you are using semi permanent hair dye, you can dye your hair again in a week since this color will fade fast to maintain your desire look. Balayage hair dye aims to look natural, so you need at least 8 to 12 weeks to change the color. Then, there is the washable hair dye that you can use as an experiment since this hair dye can be wash out easily, so you can change your hair color often. Over-coloring your hair will damage the hair. Before re-coloring your hair, it is better to consult and tell the history of your hair to the stylish, so she/he can answer your question of ‘how many times can you dye your hair’.